Can Captain Marvel Overcome the Obstacles Upon Its Fridays Release?…. We Should Worry About Anthem’s Future…. In the ongoing battle to redeem the league in the eyes of the public we see Rex and Portia take some drastic moves to appeal to a wider audience and monetize their celebrity status. But what would you expect from the endless spending from The League of Freedom when you combine it with a media tycoon like Portia? 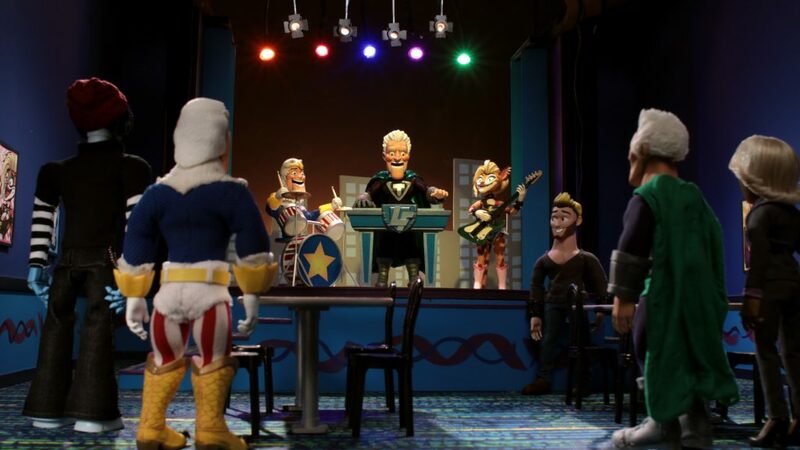 Sadly the events that follow take a sharp dive in classic SuperMansion form, but at least there are some silver linings. The League of Cheesedom brings about a long arc for the episode using Rex and Portia, what it also does is introduce an origins story for Jewbot. While there have been many teasers about their origin and mechanics there was never anything terribly in-depth until now. 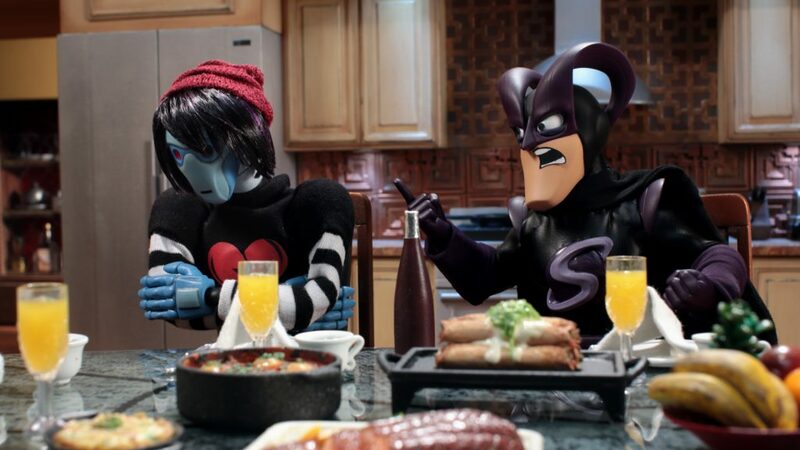 From the start it seems the curious and pacifist minded Jewbot always held a reputation as being an anomaly, as our bot learns of their unwanted origins they take an emo turn for the episode until they stumble across some unique relatives. The episode is part of a string of missteps and failures for The League of Freedom in establishing new trust and confidence with the public. They’re so thirsty for a break they’re often diving head first into anything they can get and having Portia on their side means everything gets thrown against the wall until it sticks. While that section was entertaining in itself, seeing Jewbot turn emo and struggle with a Five Nights at Freddy’s crew that plays Nine Inch Nails inspired tracks and wants nothing but death was pretty rewarding. 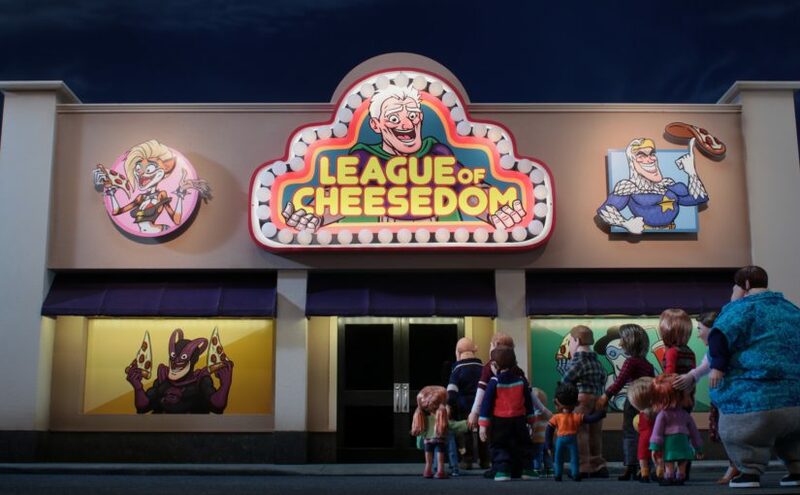 As a whole The League of Cheesedom was a consistent episode for season 2 that delivered on all fronts without jumping too far off the scales. Having Jewbot get some extra closure was a nice moment that also carried a few nice twists and put a nice bow on his messed up life story. The hunt is on, with word of Naevia’s trades the group are off to chase their latest tip, unfortunately this trip will change the dynamic of the group in a way they could have never imagined. Crixus fans will no doubt curse the writers heavily for the news uncovered but don’t let it push you to rage channel change, there’s a method to all of the madness in Spartacus and Vengeance is no exception. The group is met with a devastating finding in the opening scene, the men stand at a loss and their unity takes another hit. Their mission and future both come into question and they’ve only just begun on this path, not all is as it seems though within the ranks and questions rise forward from the viewer on what’s really going on. It’s a troubling scene and their return to the villa only shows the fracturing that has begun within this group of escapees. Glaber faces his own problems, Asher’s return brings Oenomaus but his cooperation still lacks, on top of this situation of finding Spartacus, Ilithyia brings not only her father to the Villa but Vorenus as well. Their arrival brings an announcement of the city playing host for 2 weeks of games to distract the attention of the public from the rampage of Spartacus and his men. The twist of the knife comes from Glaber’s role to this event and further damage to his ego from this incident with Spartacus not only in this slaughter but from his attack at market as well. Lucretia and Asher have their own story spinning off, the current role rides on Asher and his information extraction to prove the gods are really favoring Lucretia in her prayers and sacrifices to them. Will it be enough to win Glaber and keep control over him, it’s not exactly certain given Oenomaus has extreme loyalties to the house and to his fellow gladiators. 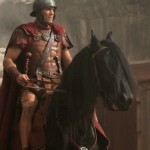 Spartacus and Crixus come to find trembling news, upon the latest capture of slaves they come to news of Naevia’s death. It’s a trembling shift so early int he episode and it destroys Crixus to the core. The news itself is deception meant to further the cause of their escape over the pursuit of Naevia into high-profile areas where they risk their necks even more with each move. The result of this is a dissolution of the two factions and where survival and brotherhood begin to split. It’s a tough scene to go through. Glaber is putting all of his pieces on Asher’s ability to recruit information, he’s proven able to recover a critical piece to the rebellion but he hasn’t gotten anything out of Oenomaus so far. With Ilithyia’s father in town and Vorenus making waves to win favor of the people he has no choice but to press Asher and Lucretia to the limit to recover something he can use. Through mental abuse of the history of the house, Asher is able to bend his mind to give up a crucial piece of information that sets Glaber’s men on their way. As the truth of Naevia comes to light, a reignited Crixus and Spartacus take on their worst mission yet, a trip to the strip mines to find Naevia, using the slave cart to enter the wasteland. It’s a gamble and a bit of heartbreak, if you’re not a fan of Asher you really won’t be after this. Vengeance episode 3 is a series a twists and turns and the fanning of the story is already in full swing as they scramble in every direction to find those pieces that matter most. Crixus continues a tale of woe and Spartacus struggles to find his place as a leader as his people conflict, the stakes get even higher and he puts lives on the line in these missions. He’s learning but he shows that he’s only human in all of this chaos and even the best plans are not immune to roadblocks. Episode 1 left many people concerned about the progress of the story, with these viewing’s it’s clear they’re on a very clear path with it and we just need to hold in. As a whole Episode 3 strikes hard at the viewers, the balance of good and evil will always sway side to side in a show like this, but there are those moments you just cringe hoping for the better and this was one of those times. Visually they’re able to muster many creative areas, the Arena returns in full glory, the forests provide a pleasant change of pace and the mines even hold a unique touch in their presentation. The location and set design has evolved after being so isolated to simple dungeons and areas of the Villa and it gives Vengeance added depth. They’re not just figures locked in a box that goes a to b to c, they have dessert sections, forests, mountains and more and no story will just occupy one area.